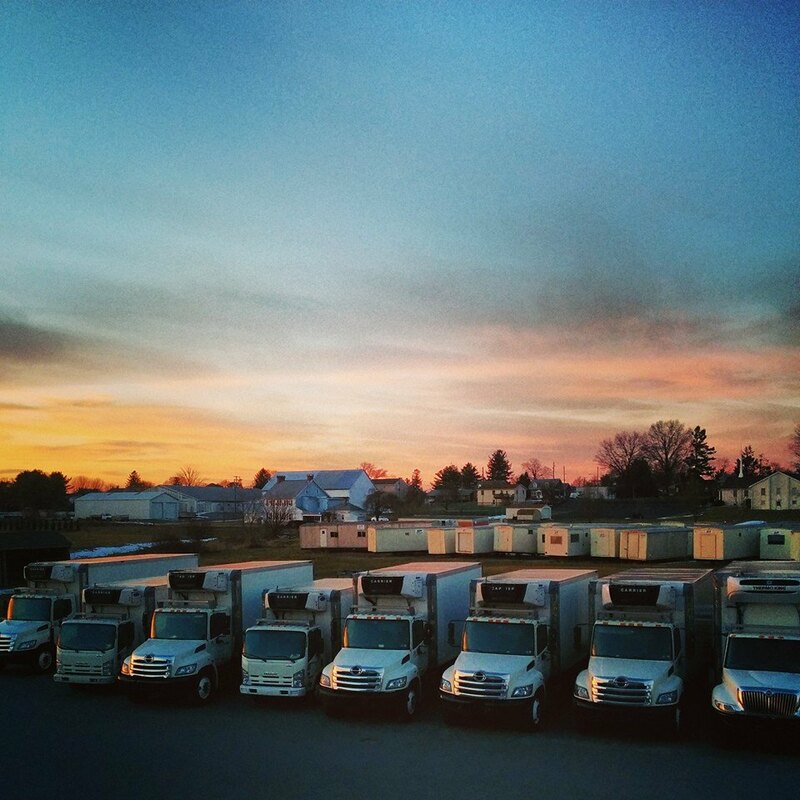 Our typical radius of operations is 150 air miles from Lancaster, PA. We have trucks in and around New York, Philadelphia, Baltimore, and Washington DC all through the week, along with their outskirts, including Northern VA, Maryland, Delaware, and most areas of New Jersey. If you're not sure if you're within our geographic range, please ask. Our drivers use smart phones outfitted with cell-tower tracking software so we always know where your product is and when it will arrive. Our trucks are all leased or rented from Penske, who provide a high level of roadside assistance, so even in the event of a mechanical issue, your product will get there. Our routing software helps us monitor and ensure we hit your sensitive time windows. We enjoy thinking creatively to come up with the best. Let us know your needs! Our trucks have refrigeration units and lift gates, which means we can deliver any product anywhere while keeping it fresh. They can get in and out of cities efficiently. They can deliver to warehouses large and small, as well as restaurants, grocery stores, private residences - basically anywhere. We also use cargo vans from time to time for even more versatility. Our drivers are our greatest asset. They are hardworking, courteous, and safety-conscious. They work efficiently and handle your product carefully. All of our trucks hit the road with a pallet jack and hand truck, which helps us deliver your product anywhere. We always use the right tools for the job.